Chimney blockage usually happens as a result of ash or creosote build-up, collapsed chimney liner, or from debris accumulation. Over time as more debris accumulates, chimney blockages form and are very dangerous if not fixed. For commercial chimney blockage removal service in New York, call Chimney Repair NY at 1-516-279-1513 or request a Free Chimney Blockage Estimate. Our commercial chimney blockage repair and removal services are designed to accommodate a wide range of clients including commercial buildings, condos, Co-op buildings, apartment buildings, healthcare offices, hospitals, schools, banks, government buildings, industrial buildings, and commercial offices and we are committed to providing clients with the highest level of quality service. 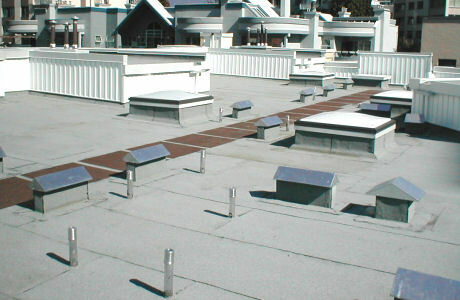 Chimney Repair NY can repair any of your commercial chimney blockages. Call 1-516-279-1513 for service or request a Free Commercial Chimney Blockage Repair Quote. We are committed to providing clients with the highest level of quality service and guarantee every job is done properly. We are a full service Commercial Chimney and Masonry Company that specializes in commercial chimney blockage repair, brickwork, and chimney repairs for Manhattan, Long Island, Westchester, Brooklyn, Queens, Bronx, Nassau County, Suffolk County, White Plains, and Yonkers, New York. Call us today 1-516-279-1513 for more information about our commercial chimney blockage removal and chimney services.